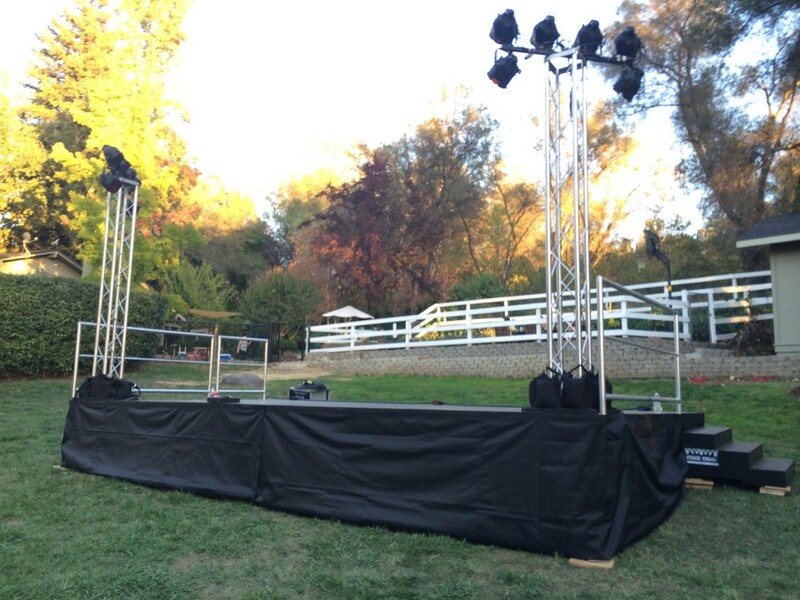 Stages on Slopes for rent from Stage CMDR, Inc. in Sacramento. 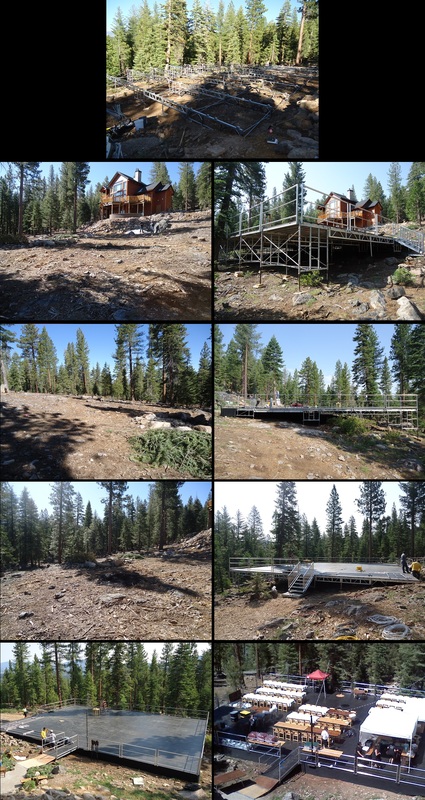 Constructing a stage on uneven terrain or on the side of a mountain is an art that takes years of experience to master. Stage CMDR prides in specializing in these types of projects and placing stages in areas people didn’t think were possible. Stage CMDR is the specialty staging company you bring in initially or the company you call when other companies tell you they can’t do it. Some of these projects include building a stage of any size on any degree of slope or on any type of terrain all while ensuring that its perfectly level and straight as an arrow. Stage CMDR guarantees the structural integrity of every staging project and prides that in over 10 years of service there has not been one safety incident. A 24×16 stage with standard black decking and an 8×8 drum riser. 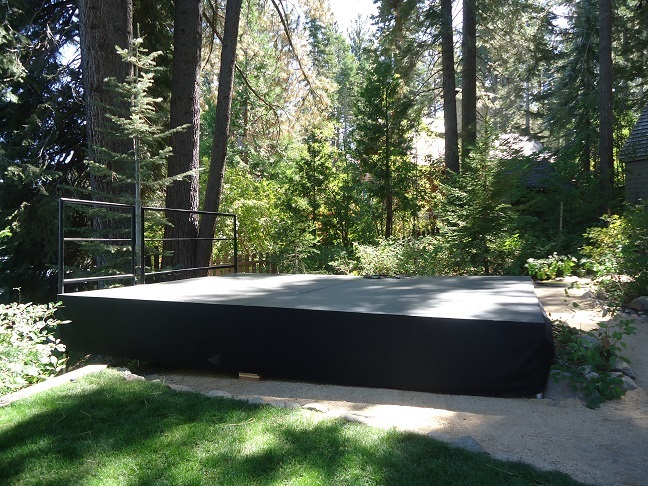 A 16×16 stage with standard black decking that was constructed on uneven ground where a portion of the stage is over a 5′ drop off.